R. Higgins Interiors is a full-service design firm that employs their extensive resources on everything from fabrics to tiling to handcrafted vessels. With a staff who excels in all aspects of design, R. Higgins Interiors leaves no detail of the construction or renovation process unattended. They believe in the philosophy that if an interior is done right the first time, it will look good forever. 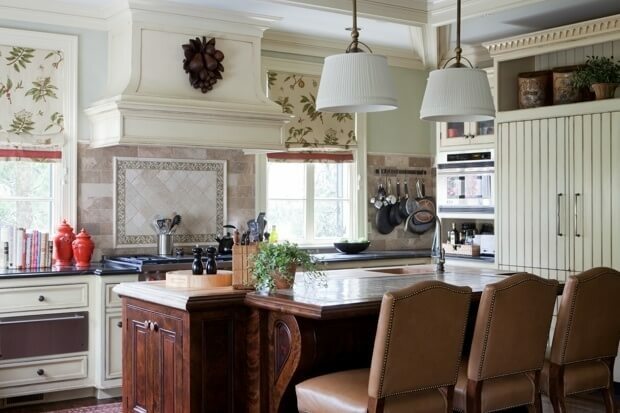 Both Roger Higgins and Ann Shipp of R. Higgins Interiors, take care to incorporate their client’s lifestyles into an individual interior design plan with stunning results. Known to have a keen eye for provocative objects that add an interesting element to their clients’ homes, Roger and Ann are tireless shoppers scouring local, regional and global retailers. By mixing the old and the new, they create classic interiors with dimension and texture that always surpass the conventional or expected. Stop by R. Higgins’ showroom, a secret resource for Nashville designers that is open to the public as well, to shop an accumulated collection of treasures from all over the world. Mon-Thurs 9 a.m. – 5 p.m.